On November 19, 2011, Callous Comics will be in the Independent Komiks Tiangge of Komikon 2011! Here's what's in store for you from our tabletop! I'm a relative newbie when it comes to the cosplaying culture. However, last October 22nd, 2011, I was immersed in it more than I have ever been in the past. The first-ever Games Toys Manga Anime Cosplay Comics Convention (GTMACCON, pronounced "jee-tee-mah-con") event decided to do something different and feature a cosplaying competition that showcased only indie comic characters created by Filipino artists. 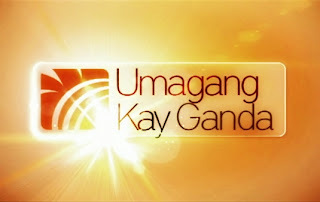 Callous Comics on "Umagang Kay Ganda"
Last July 19, 2011, several newspaper and independent comic artists and myself (representing webcomics) appeared in ABS-CBN's morning show Umagang Kay Ganda. The show wished to feature local comics (known as komiks) which have been undergoing a dramatic resurgence lately.